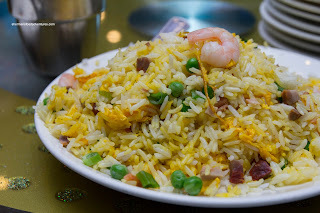 Believe it or not, my first ever post on this blog was Congee Noodle King. Yah, not the most exciting place, but hey, I like the food there. And much like the first post, the same crew was here for this re-visit. After all these years, Milhouse, Lionel Hutz, Polka King, Emilicious, Gordo Gadget Girl, Mr. Blueberry and Sweet Tooth (along with Polka Dot), have continued to stuff their faces on my food adventures. Kinda nostalgic and brings a tear to my eye... Wait, I think that was just some dust on my contact... So what's so good about CNK? Well, as the name implies, they specialize in congee and wonton noodles. As such, Gordo and I decided to split both of those aforementioned items. I gave the Wonton Noodles a try first and yes, it was as good as I remembered. 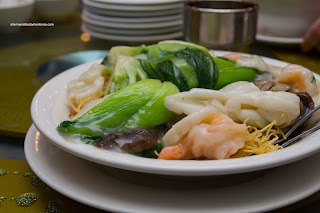 Now, we've been back to CNK quite a few times since 2008, and I have to say the noodles were spot on every time. As exemplified in the picture, the all-shrimp wontons were large and texturally on point with a pronounced snap. 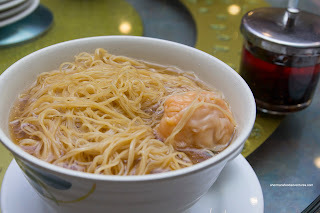 The noodles were chewy while the soup was flavourful (with hits of sweetness and shrimp shell) and clean. A very solid bowl of wonton noodles. Onto the Preserved Egg and Salted Pork Congee, it also did not disappoint. It was thick and remained mostly so until the last drop. 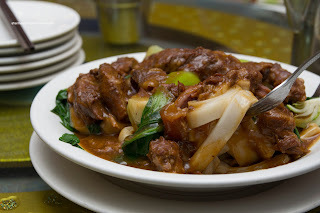 There was no absence of ingredients with large chunks of preserved egg and tenderized pork slices. The pork itself was not really all that salty though. 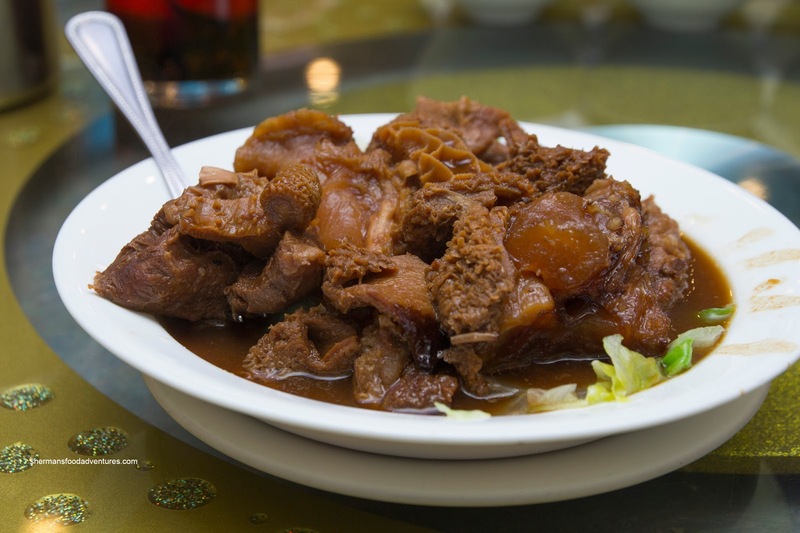 As a side, I decided to add a plate of Assorted Offal which included tripe, brisket and tendon atop boiled lettuce. I found the tripe to be too soft, but then again it was late in the day, so it could've been sitting around. The tendon was good though while the brisket was quite meaty and slightly chewy. Flavourwise, there was depth since the stuff had been sitting in the braising liquid for quite some time. Milhouse, being the health conscious person that he is, got a side of Salty Donut to go with his congee. 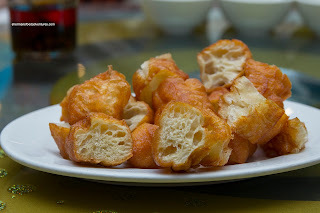 I took a sample and it was obviously not fried to order (but I wasn't expecting it to be either) and was a quite dense. It was no longer that crunchy either. 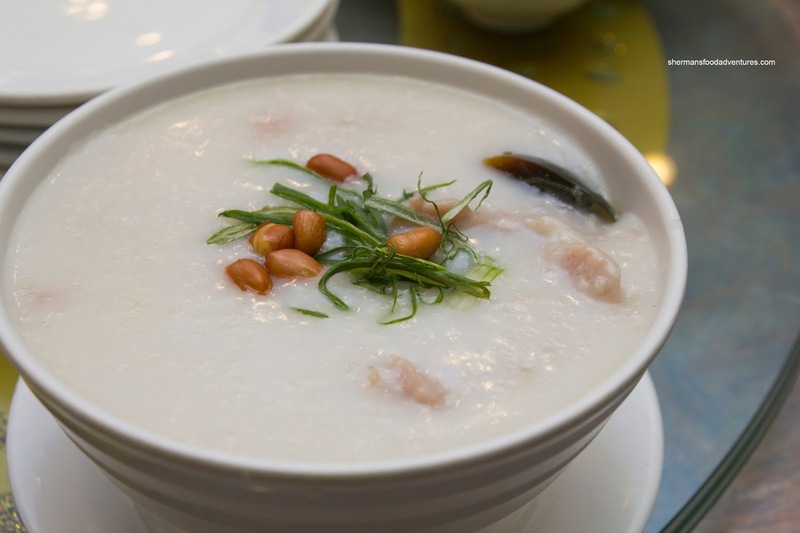 But when dunked into the congee, it really didn't matter too much. 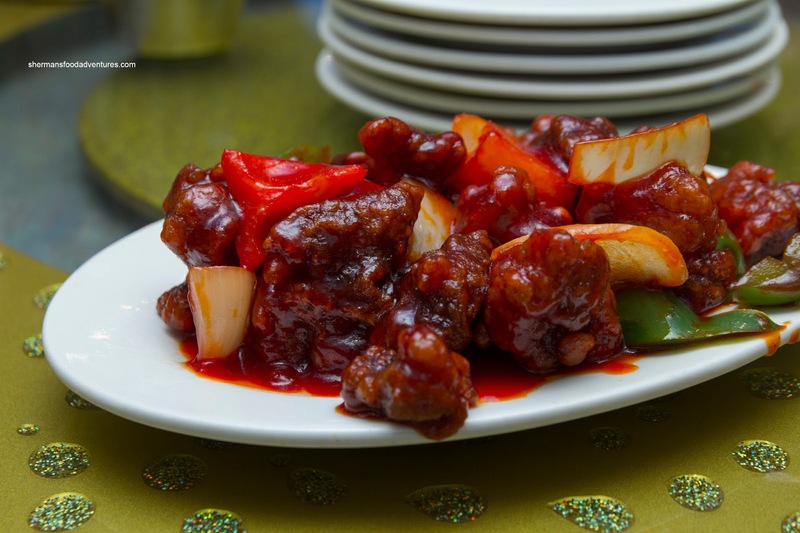 Polka King (in a cameo appearance) and Polka Dot shared 2 items including the da lang portion of the Sweet & Sour Pork. Exhibiting a shade of radioactive red, the pieces of pork were meaty and fairly moist The exterior was crunchy in spots while the sauce was mostly sweet. At least there wasn't too much sauce though. They also had the Seafood Fried Noodles which was topped with an appealing array of ingredients. Polka Dot found the noodles a bit bland while the cornstarch gravy was slightly thick and a bit slimy. Although the seafood was cooked quite well. The fish and scallops were cooked perfectly and still moist in the centre. The squid, on the other hand, was a bit chewy. The Shanghai bok choy was a bit stringy and were cut into slightly too large pieces. One half of the noodles were crispy and surprisingly not burnt. Lionel Hutz ended up with the Rice Noodles with Brisket. He thought it was okay where the texture and firmness of noodles was fine. The taste and texture of the meat was okay, but he has had better. Moreover, the vegetables seemed to be fresh. Mr. Blueberry went for the Yeung Chow Fried Rice which exhibited good wok heat. It had crunchy shrimp and was well seasoned. He thought it was exactly how it should be. And really, most of the food was predictable and more than acceptable, especially for late night eats. In fact, I find their wontons to be some of the best in the city. Definitely a solid choice for congee, noodles and Cantonese fare any time of the day.